Selling Free Software for a Living: The YoLD is Dead; Long Live the YoLD! The opinions on this blog are my own and are not representative of my employers, past or present. The YoLD is Dead; Long Live the YoLD! 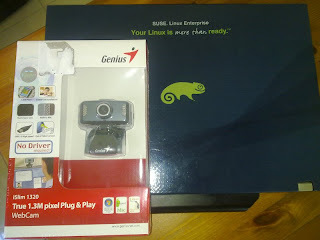 Twas the first day of Christmas 2009 and my true love gave to me... a Linux-ready USB WebCam! The YoLD is Dead (2009); Long Live the YoLD (2010)! Much Thanks and Gratitude to the French for inventing the original. See Wikipedia for details here. Back to my Christmas gift from my wife. She recalled my frustrations 2 years back in getting a brand-new USB WebCam to work with Linux (openSUSE, SLED, Ubuntu etc). She, a non-IT person, went shopping this Christmas and found a WebCam that explicitly supports Linux! Wow! And it WORKED! No driver installation/compilation required, true plug and play. Worked with Kopete and also with Skype. It worked on openSUSE 11.2 and SLED 11. Pretty sure it will work on many of the current Linux distributions. The box did say Kernel 2.6.21 & above. Here are a few pictures of the box. Yes, I'm helping to advertise for this vendor because they deserve my support for their explicit Linux support. Finally, I credit this Blog entry to my wife. Thanks dear, you're the best! I spent about and hour looking to buy this webcam. Couldn't find it anywhere ... :-(. 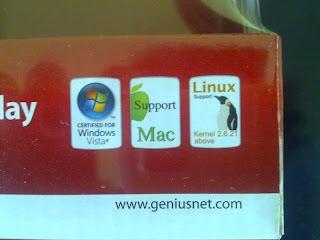 also very IMPORTANT: This vendor has only a few models (4 that I found) that support linux. So I put this a warning here. I will be happy to hear (sorry to ruin the rommantics...) where did your wife bought the camera, and how much she paid ! Many many thanks, and Happy New Year ! 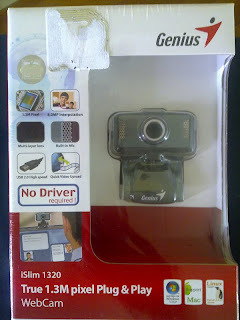 The webcam was going for S$69 but she got it at S$48, some Christmas sale. My Opensuse 11.2 install has got the Logitech Quick Cam running too. Am using it via the Beta Skype client. Again no installation of a driver required. I am a Microsoft Outlook user. Some time I face problem with my Outlook, I am unable to open it or it gives me an error message. Some time I lost all my outlook contacts. I am aware that there are many Repair Outlook PST File tools available in the market. But even repairing our pst file by the software we lost some emails or contacts etc. I remember, in past I had some problem in my Outlook, I purchased on repair software, however it just recovered some emails. I lost many emails folder from my outlook, then I purchased one more software but still I lost many important contacts. Ever thought of using Evolution instead? My openSUSE 13 Journal 1: Getting IBM Notes 9.0.1 to work!